After a month of celebrations and good food (many of which include dessert), I woke up over the weekend feeling incredibly… tight. That’s the only way for me to describe it, like my body is too tight for my skin! So I resolved to return to my regular eating habits, which includes a packed lunch during work. Key ingredient for my lunches: Hummus. First of all, you’ve got to prepare the Tahini (which costs about rm27 at the stores here, are you CRAZY?! When the actual cost of making this stuff comes up to about rm5? ), which will be the base for the hummus. Enjoy! 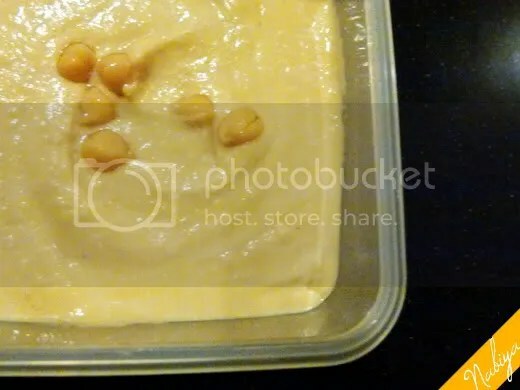 Hummus is a GREAT thing to have ready in the fridge for anytime of the day.